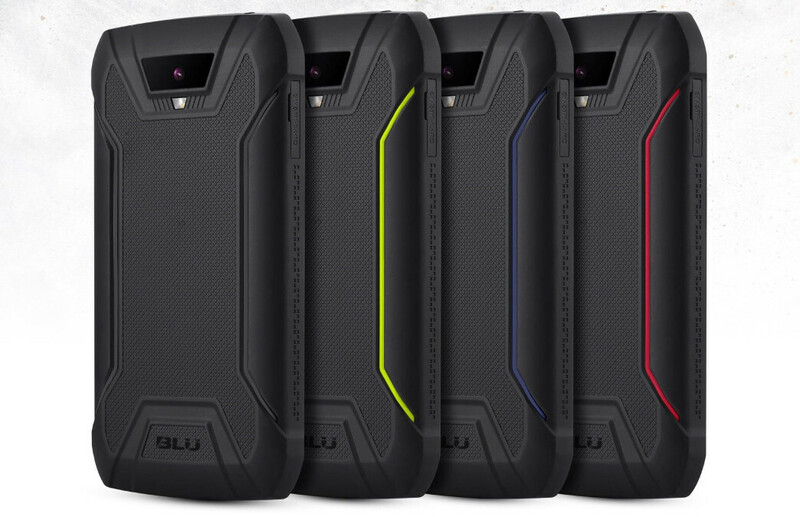 US-based company BLU has just revealed yet another rugged smartphone in the Tank Xtreme series. 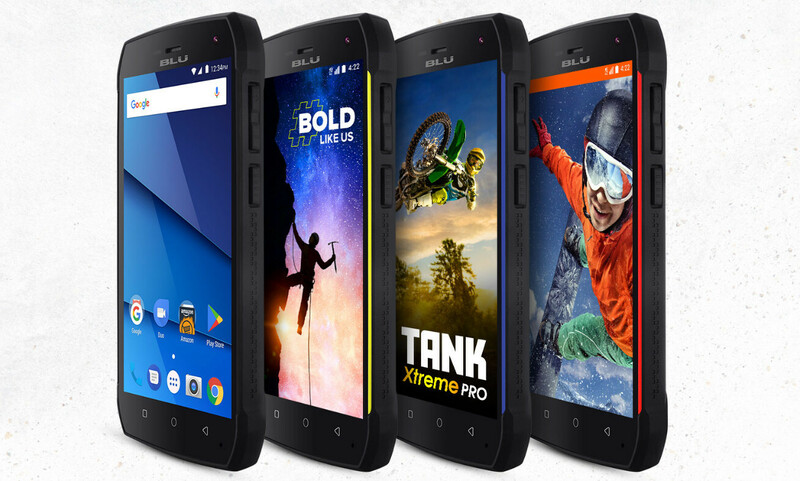 The new handset is listed on BLU Products' website without a price tag, but BLU Tank Xtreme Pro is expected to hit the shelves at Amazon soon. BLU Tank Xtreme Pro is a bulky phone, bigger and heavier than the Samsung Xcover 4, another rugged smartphone that recently made its debut on the market. BLU's device measures 146 x 74.8 x 13.9mm and weighs no less than 206g (battery included). The smartphone is IP68 certified, which makes water and dust proof like no other BLU smartphone before it. The Tank Xtreme Pro can be submerged under 1.5 meter of water for up to 30 minutes and it can still perform flawlessly. Also, the phone can withstand drops and is shock resistant thanks to the rubber dual injection rubber that will absorb the impact, thus protecting the device. On the inside, BLU Tank Xtreme Pro comes equipped with a 1.5GHz quad-core MediaTek processor, 2GB RAM and 16GB expandable storage (up to 64GB). The 5-inch HD (720p) display features Corning Gorilla Glass 3 coating for extra protection. The phone comes with a rather standard 8-megapixel primary camera with LED flash, as well as a secondary 5-megapixel selfie camera on the front. BLU Tank Xtreme Pro features dual-SIM support and will be sold unlocked, but it will not work on CDMA carriers in the US. On the flip side, it's powered by a massive 4,300 mAh battery and runs Android 7.0 Nougat right out of the box. The ultra-rugged smartphone will be available in Black, Blue, Green, and Red, possibly for less than $200. BLU Tank Xtreme Pro will be sold through Amazon and other US retailers. +1 Why can't they put something a little more powerful like Helios p25 or Snapdragon 625 inside this? That's because they need to physically move. This tank doesn't have to do the work of moving its own heft. Only to run a 720p screen. Therefore a higher-end processor is appreciated.........and useful. BLU phones are the biggest heap of s**te ever. I work in a phone repair shop here in Ireland and we got a few BLU phones into sell. Most of them have come back with issues like sim cards not reading, not charging, not camera. Piles of crap. It better have 15000 mah battery atleast. I have a Blu Pure XL and it's been great , amazing 32mp camera , Octa-Core processor and a sweet 6 inch High End display . I've had zero problems out of it . I love the BlackBerry Keyboard so I download an ApK which has all the BlackBerry apps on it. So now it's has the best of BlackBerry and Android . The Pure XL has a 24MP camera not 32. Sounds like a repackaged Kyocera Duraforce, specs seem pretty close.